Blind salamanders that reside completely underground within a cave ecosystem include many distinct species, such as the grotto salamander, olm and Texas blind salamander. Though there is a species of salamander whose common name is the “cave salamander,” this species is not blind and is found near cave entrances, not within the interior darkness of caves. Cave environments are completely different than the habitats we normally encounter above ground and present their own sets of challenges. Perhaps most evident and most challenging of these differences is the lack of sunlight. 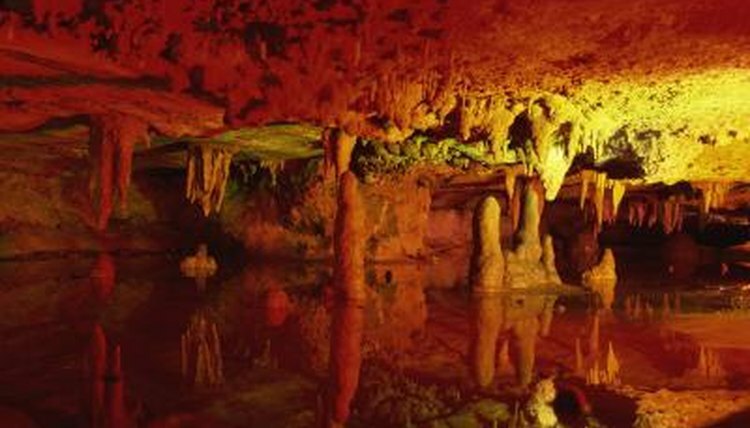 Caves generally are broken down into several “zones,” which are determined based on the amount of sunlight each zone receives, as well as the constancy of temperature and humidity. The cave entrance zone receives the most sunlight and temperature variations, can grow green plants, and is similar to habitats on the surface. Further into the cave is the twilight zone, which gets some sunlight and is insulated slightly from changes in temperature. The middle zone is devoid of sunlight, but experiences some temperature and humidity changes. Finally, the darkest and most unchanging zone is the dark zone. It is here, where temperature, humidity and complete lack of light remain constant, that troglobites — animals specifically adapted to this extreme habitat, like blind salamanders — reside. Because of the complete lack of sunlight in the dark zone where they reside, cave salamanders have developed several adaptations to their environment, including blindness. Even creatures with fully-functioning eyes would find themselves unable to see in this environment. In addition to blindness, most blind cave salamanders lack pigment in their skin, appearing nearly translucent white or pink in color. Some species, like the olm, have adapted further to their aquatic, constantly humid environments, retaining the gills normally associated with larval salamanders. There are several competing theories to explain the evolutionary mechanics behind the development of sightlessness in cave animals. One of the most popular explanations for blindness is that individual animals that conserve energy by not requiring the biological processes and structures needed to maintain sight are more successful in reproduction, and their genes, therefore, are more likely to be found in the next generation. However, studies on cave fish do not necessarily support this theory. Instead, adaptation and natural selection based on gene expression and regulation in the form of pleiotropy — wherein one gene may regulate some attributes in a positive way and others in a negative way — more likely may be responsible for the evolution of some blind cave animals, based on a 2005 study from the University of Maryland. Salamanders that live in caves have developed many ways to compensate for their lack of sight. Many cave salamanders are able to sense the electricity given off by their prey and changes in pressure around them. It also is possible that some can sense changes in magnetic fields, according to Discover Magazine. In addition to these incredible extra senses, cave salamanders generally have heightened senses of hearing and smell.